Golfing in Ireland with our holiday packages gives you access to some of the West of Ireland's finest golf courses. With reasonably priced green fees, magnificent scenery, pleasant and comfortable accommodation, our golf holiday packages allow you to experience some of the best golf courses Ireland has to offer. We are located within striking distance of over 20 unique Golf Courses. All open to non members on a day by day basis. 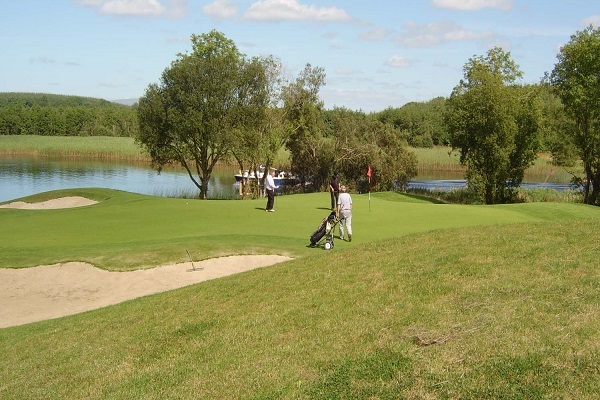 From the banks of the Shannon river in Carrick on Shannon, the beautiful course in Ballinamore by the Shannon Erne waterway or experience the championship links course in Rosses Point. We also have experienced golf instructors helping you improve your golf in the midst of wonderful scenery. All our golf lessons on a one to one basis. Or why not combine a golfing holiday with language or music tuition, improve your English in the morning and enjoy golf in the afternoon. We have experienced English language teachers offering one to one English lessons or for traditional Irish music lovers, our music teachers teach all Irish instruments. Spend a week playing golf whilst learning or improving your trad music skills. Our accommodation range has something for everyone. 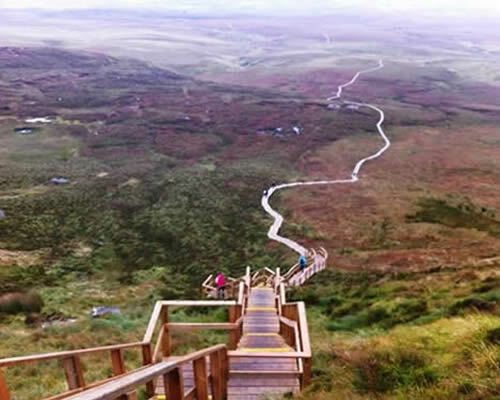 We can provide homestay accommodation in Carrick on Shannon, a small market town with plenty of pubs, restaurants and shops or stay with host families in North Leitrim along the banks of the Lough Allen. We also provide booking services for some of the best local B&B's, family hotels or 5 star castle hotels. All at an affordable rate.